Maybe you recognize the name Cordial & Craft from their amazing craft cocktail designs, but their services are much more diverse than just bar menu creation! 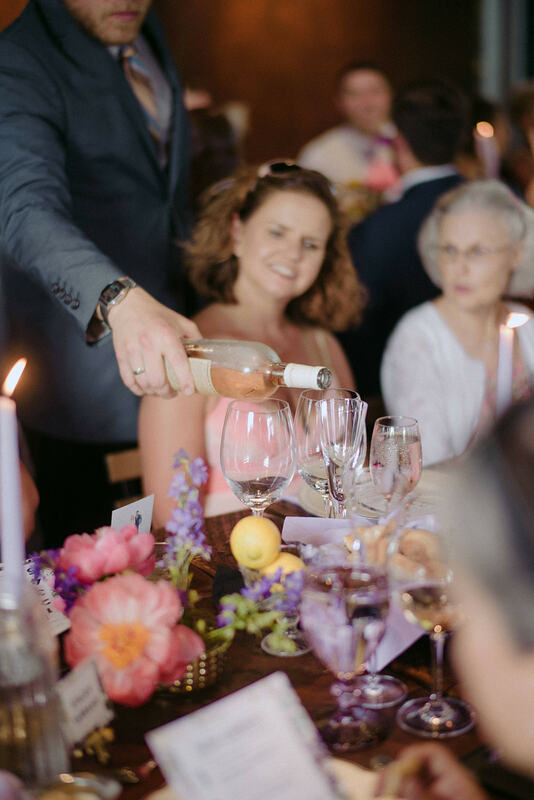 The Cordial team does everything from wedding and event planning to floral design and specialty staffing! However, Cordial & Craft says their true specialty is team work! 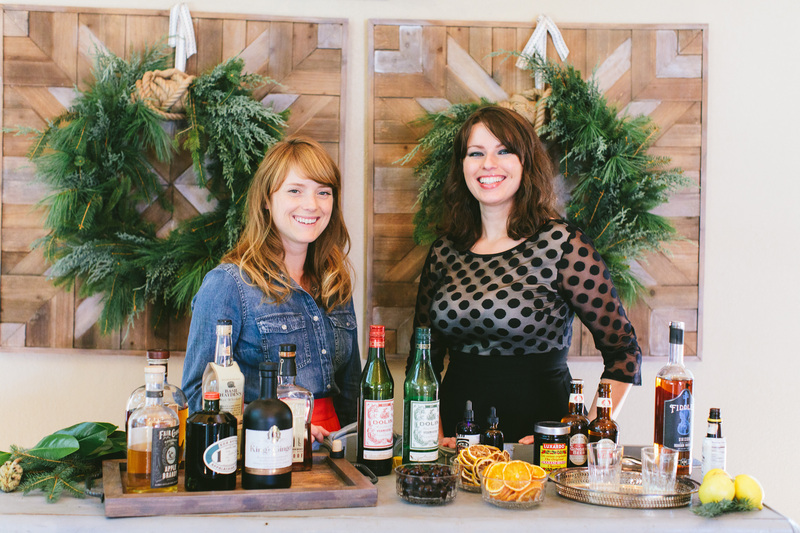 Learn more about what you can you expect when hiring Cordial & Craft for your event! 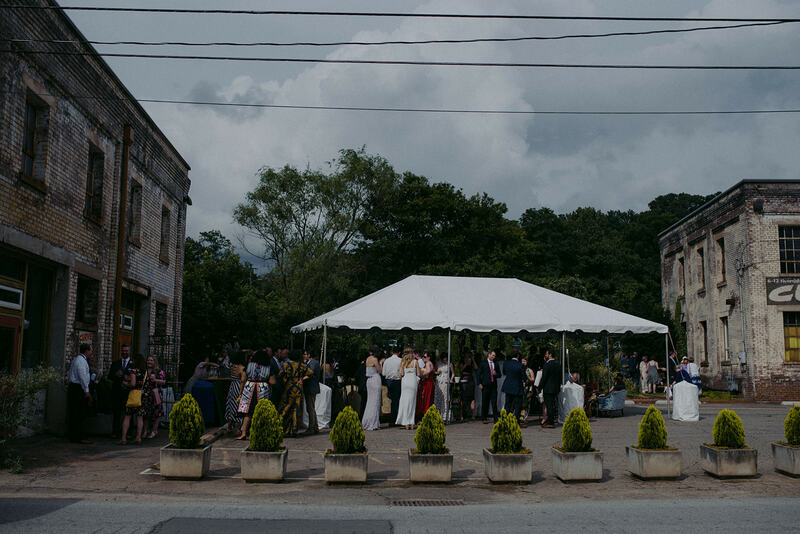 Wedding in one of Asheville’s most famous gardens?! Yes please! 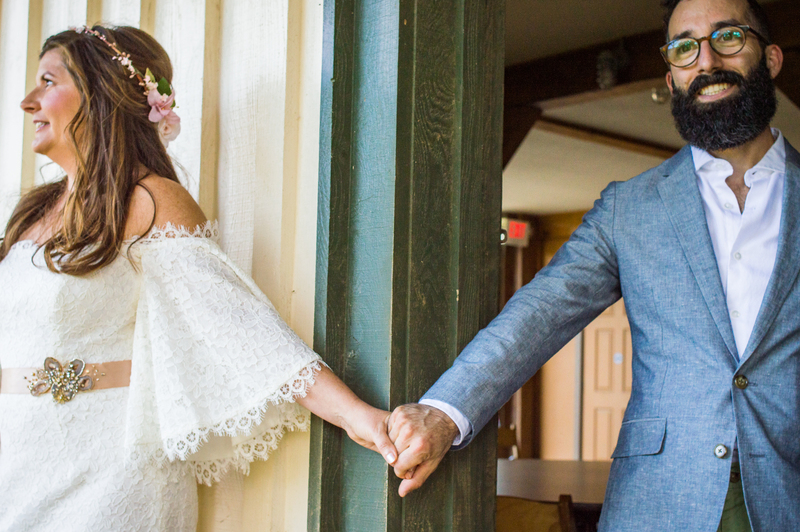 Bride Anna wanted her guests to be immersed in a sensory experience, so she decided to have her wedding at CURVE Studio in the River Arts District where their backyard is a beautiful, luscious and artsy garden. Cordial & Craft planned a 4-course meal with Celine & Co.’s delightful French-inspired food. They paired each course with a specifically matched wine, and had John (of Metro Wines) give a little talk at the start of each next course. Similarly, at cocktail hour, Cordial hosted a full beer tasting with a variety of local brews that are a little harder to get (like Fonta Flora, Burial, and Wicked Weed’s sours). Talk about attention to details!! Dance Party in the Fields of Yesterday Spaces. 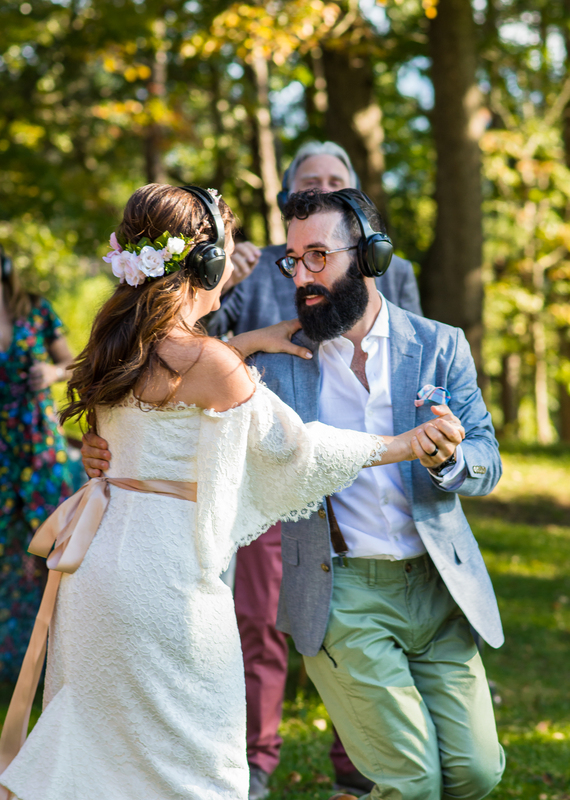 Do you know what a silent disco is? No? 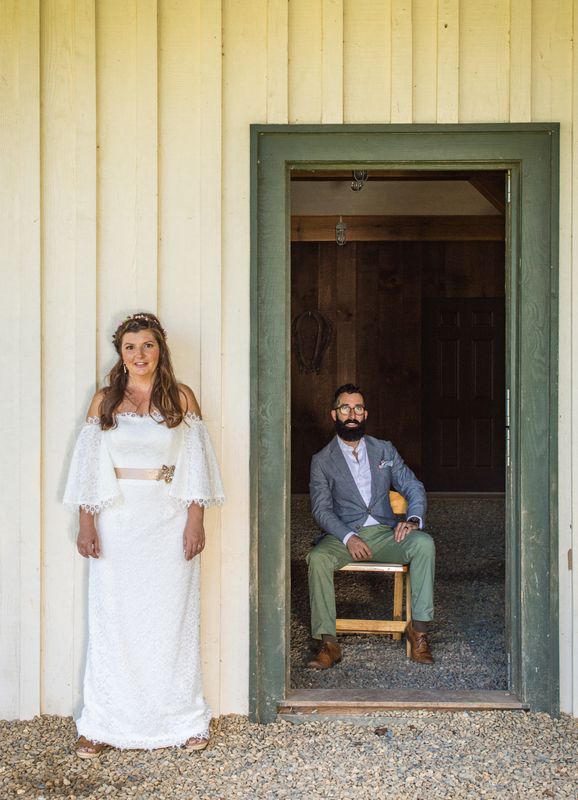 Well, neither did Cordial & Craft when Suzanne & Anthony contacted them with their idea to incorporate it in their wedding as their ceremony…. challenge accepted! 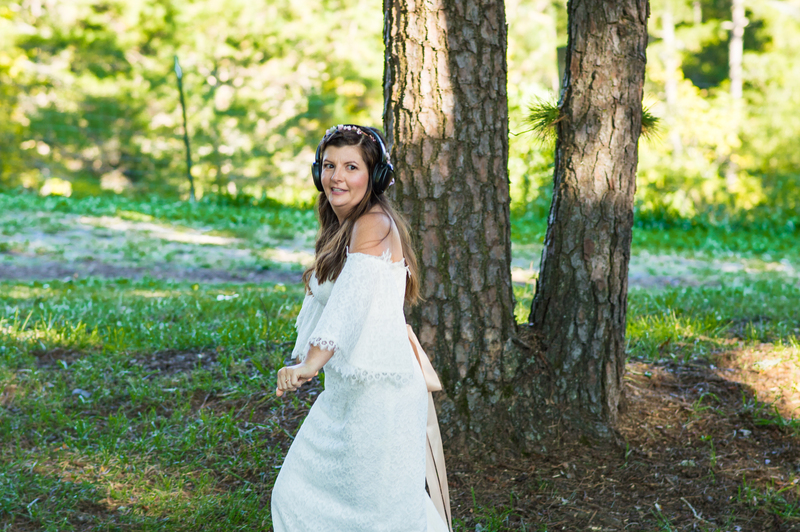 Each guest was given a pair of headphones and told to just start groovin’ to the playing DJ set!! As guests swayed and danced at their seats, the bride and her father slowly walked down the aisle. If you didn’t have headphones on, everyone just looked like they were a little bit crazy dancing away to their own personal drummer in the field at Yesterday Spaces! It was really magical to watch and take part in! Afterward, they toasted with a mead made by a local meadery, Alchemy Herbal Wine, ate freshly shucked oysters, enjoyed a paper cut out puppet show, and ate a dinner prepared by Chef Dan Silo, previously of Buxton Hall BBQ. 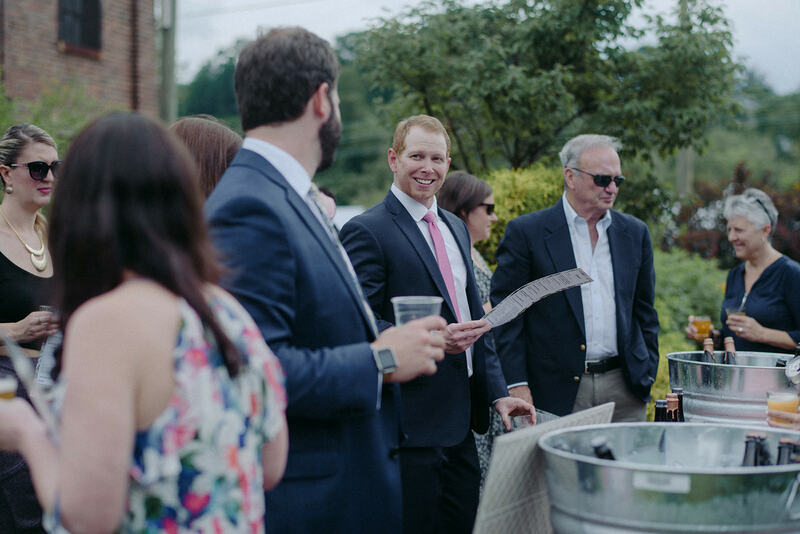 Cordial & Craft provides a holistic approach to events with a personable, reliable, and experienced team that will make sure your event the perfect mix of memorable and well executed. The team has worked at all levels and sizes of events, and is able to fit in all levels and positions of involvement. From designing and developing, step by step, the entire occasion, to handling a few of the minor details with ease and professionalism. Hands down the best decision I made surrounding my wedding ceremony & reception was to hire Cordial & Craft! Heidi, Amanda, Cataldo, and Lexie provided more attention, specialized consideration, and general assistance than advertized and expected. Every interaction was pleasant, professional and helpful and resulted in my walking away absolutely confident that my wishes would be executed successfully and that I was not overlooking anything that may have otherwise contributed to an unexpected mishap on the day of the event. Regarding bartending and food service, Lexie and her supporting staff of bartenders and food attendants made sure that my guests had everything they needed from Old Fashions to assistance locating the gluten-free dessert option. The reception staff were pleasant and appeared to enjoy being part of our event! I highly recommend Cordial & Craft for any event large or small and will forever be grateful to have had them at my wedding! 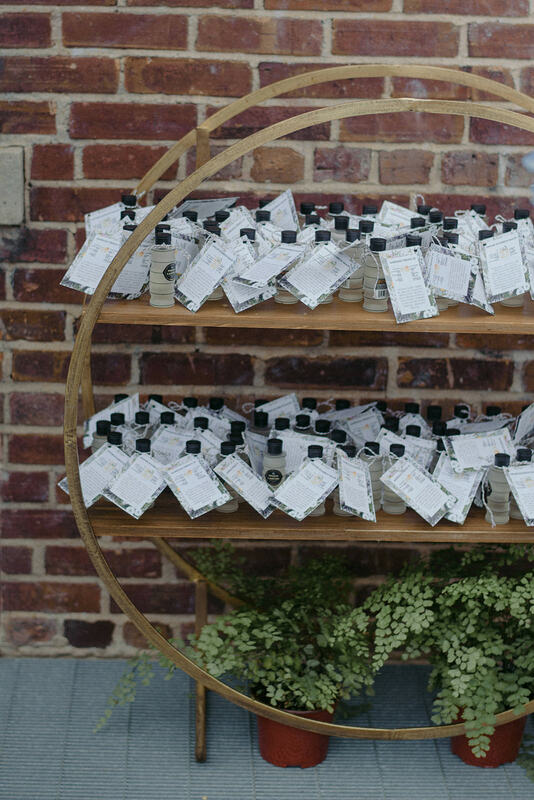 We worked with Cordial & Craft for our wedding this past September and they were nothing short of amazing! Heidi and Lexie were super responsive and worked with us to create custom cocktails for our big day! Not only that, we ended up hiring extra bartenders so our guests wouldn’t need to go up to the bar during the evening and everyone keeps talking about how amazing their service was; nobody ever needed for anything! We had two bars (inside & outside) and they styled both to perfection! Their crew was knowledgeable and professional, yet all the guests had a great time interacting with everyone! Thank you guys for everything!!! It was truly the best day ever! There’s no way I can account for everything they did but Cordial and Craft absolutely made our day. At the end of the night, we were exhausted and overwhelmed by everything. 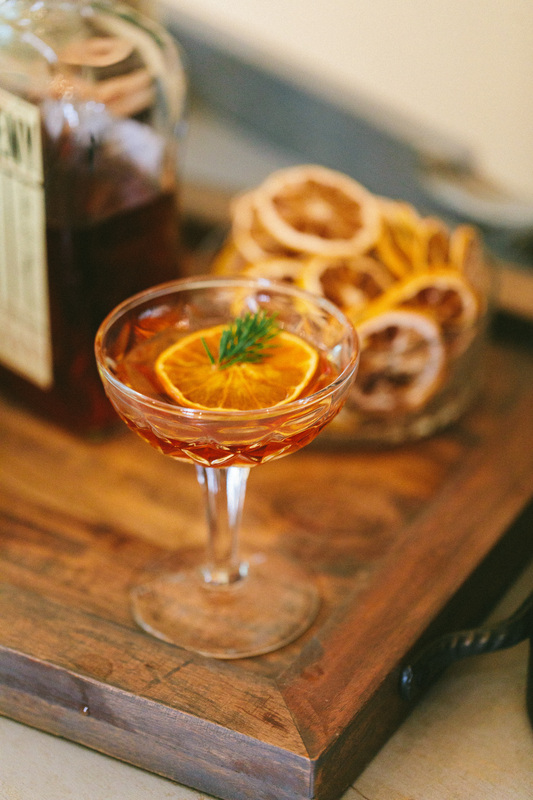 Per my usual self, I began lamenting that we didn’t have enough time to get more of the old-fashioneds. I barely saw any cake after we cut it. I only had one of the 12 bones ribs I was excited about. There were too many people to see and too much to do! But when we got back to our cabin, Amanada and Heidi had stashed away a small container of old-fashioned, a rack of ribs, and a solid mass of cake for us. It was absolutely perfect. It was still our idea for our wedding but Cordial and Craft helped enhance it, put us both at ease, and helped us enjoy it. From making every little thing that much better to managing the chaos/”loved” ones to helping us avert disaster, Amanada, Heidi, and their whole staff really helped make our day. Make the Pine Needle Syrup while pine needles are edible; the best ones are tender new green growth pines. To make syrup, add equal parts pine needles, sugar, and water and simmer on the stove for 10 minutes. Strain needles out with a fine mesh sieve. Syrup will store in a glass container in the fridge for two weeks. Place all ingredients in a pitcher or large container and stir. Serve immediately or let sit and meld in the fridge for up to three months.